The genre of Hip Hop consists of an exhaustive range of dance styles, from freestyle to top rocking and more. Hip Hop dancing utilises a wide range of moves and techniques that may seem daunting to the beginner, and impressive for an audience. From funk dancing, popping and locking, to jigging, freaking and krump, there are a variety of avenues for you to express yourself in. Ishtar Bee offers hip hop dance classes for all levels, from beginners to experienced dancers looking to expand their physical dance vocabulary. The intensive physical movement in hip hop dancing also serve as a great exercise to develop yourself physically or maintain a fit and healthy lifestyle. Whichever style you choose or maybe even develop on your own, as long as you stay true to feeling the deep beat and rhythm of hip hop dance classes music, you can be a hip hop dancer! Jazz is a musical genre that is all about self-expression and ultimate sensuality. This makes it an incredible musical medium to dance to. Jazz dancing borrows the ideas of self-expression from the music, encouraging the dancer to showcase their own individual style and originality above all else. Unique interpretations and executions of dance moves are common and are as exhilarating to watch as they are to perform. At Ishtar Bee’s jazz dance classes, we conduct our lessons with the same energetic and fun manner that jazz is so playfully known for. We teach our students the unique moves, fancy yet breath-taking footwork, as well as the incredible leaps and quick turns that jazz dancing is so famous for. We encourage physical as well as mental flexibility through the judicious usage of warm-ups and exercises that allow students to gain not just flexibility, but strength, endurance and physical coordination. At its heart though, jazz dance is all about the flow and the movement through time. We encourage our students to not simply execute a dance step, or freeze in a position. We get them to move and flow with the music, always being in a state of flux, whether in terms of speed or visual level. In jazz dance, combinations are crucial, as is the confidence to showcase your piece of ultimate self-expression. *Variations of Jazz can also be taught. Eg. Latin Jazz, Street Jazz, Jazz Techniques. Latin Cardio is an exciting Latin dance classes style that is both sensual and exhilarating. A dance-based fitness class with a fiery latin flava! Funky, groovy, sensous and fun. Indulge your inner feistiness and turn up the heat with our Latin dance classes. Bedazzle the dance floor and stoke the fires of passion with the comprehensive range of Latin dance moves we teach. An energetic and upbeat fitness and dance class combo. At its heart, street jazz is a fusion of the edgy funk that makes up hip hop as well as the sensual flowing nature of jazz techniques and movement. Have the best of both words with our street jazz classes dedicated to make you a more versatile dancer with strong physical abilities, like a strengthened core, better body co-ordination as well as an enhanced sense of musicality and a wider dance vocabulary consisting of a comprehensive range of techniques and moves. Enjoy the heart thumping, fun experience of dancing to the latest pop/rock tunes and beats! For clients more interested in learning the more technical aspect of jazz dancing, Ishtar Bee offers jazz techniques lessons to train the mind and body in basic jazz dance classes and techniques that are an essential part of the repertoire for any jazz dancer. We instruct students in a wide range of techniques including floor work, isolation work, across-the-floor movement, as well as jumps and turns. All these basic routines are applicable for levels from beginners to intermediate dancers. If you are looking to learn a dance that is more personal and closer to heart, try out our exotic dance class. Exotic dancing is about transformation, self-expression as well as the display of the ultimate self-confidence, sensuality and excitement. Learning exotic dancing will impart a mischievous joy in the dancer, giving her the confidence and charisma that is an important aspect in everyday life, whether it’s meeting a client, or talking to your kids, your new found confidence will give you a performance boost! It doesn’t matter your age or size, exotic dance is for every woman! To take part in our exotic dance class, high heels are a must as we spend much of the time in class instructing you in the basic dance moves before progressing to simple routines and more sensual floor work. Embrace your inner Vixen today! Feel like a Goddess, look like a Goddess! 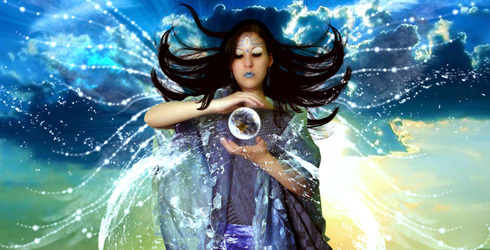 Bring out the Goddess in you with this mentally and physically challenging fitness class. Combining Cardio, High Intensity Interval Training (HIIT), strengthening & conditioning and Yoga, GBC will get you hookd on the adrenaline of fitness! Safe for all levels, especially beginners. For ladies by ladies only. 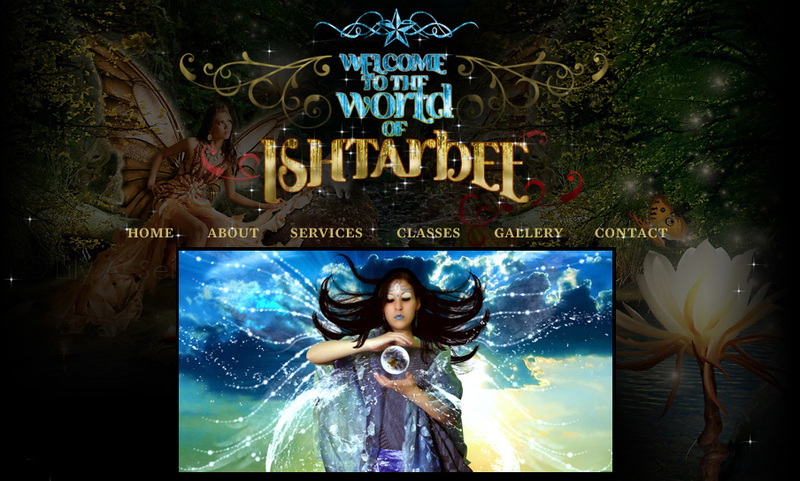 Ishtar Bee offers some of the best yoga classes in Singapore. Designed to help you relax and de-stress, our yoga classes are able to help you strengthen your body and mind. Improve your physical coordination as well as boost your mental focus with our yoga classes conducted by our team of highly-qualified and experienced trainers. At Ishtar Bee, you will be able to achieve complete wellness in both body and mind. Check out this lively combination of dance and exercise! Merging the healthy virtues of a cardio session with the exhilaration of dance, Ishtar Bee’s cardio dance workout consists of high energy sessions of wonderful music and cardio building dance routines, and what better music genre to use than Brazil’s colourful and flamboyant national dance? Have an intensive workout with our samba-based dance workout that is vigorous, fast paced as well as both sensual and uplifting. Our cardio dance workout Singapore are excellent for shaking off stress as well as burning calories and keeping fit and healthy. At the end, you’ll feel refreshed and invigorated, ready to take on the world! Other than Samba-based cardio dance workouts, we also offer such sessions utilising different music and styles including pop, funk and other Latin music genres. Burn some calories and enjoy the added benefit of listening to good music while gaining better muscle coordination and finesse. Recently gaining popularity for its incredibly vibrant and novel spectacle, Poi is a performance art in which balls tethered from a cord gripped in the hands are swung in circular patterns using the arms in order to achieve complex and intricate visual patterns. The patterns are especially bright and captivating with modern Poi technology like glowing Poi balls or sticks that stand out especially well in darkened areas. Ishtar Bee teaches Poi spinning for beginners. Our classes are designed to not only impart the skills of Poi spinning to our students, but to also improve coordination and endow the student with a unique and personal understanding of his or her own body’s sense of balance and visceral awareness. It is also designed to enhance concentration and upper body strength and endurance. All classes, at the moment, are conducted privately in groups or for individuals. Please contact us for class arrangements.